Summer is my favorite season of the year BY FAR!! After a long winter and rainy spring, I’m definitely ready for some warm, sunny weather! Since our summer season feels so short, I try to keep things as simple as possible during the summer months so I can enjoy it as much as possible. Nobody wants to be cleaning when the sun is shining! 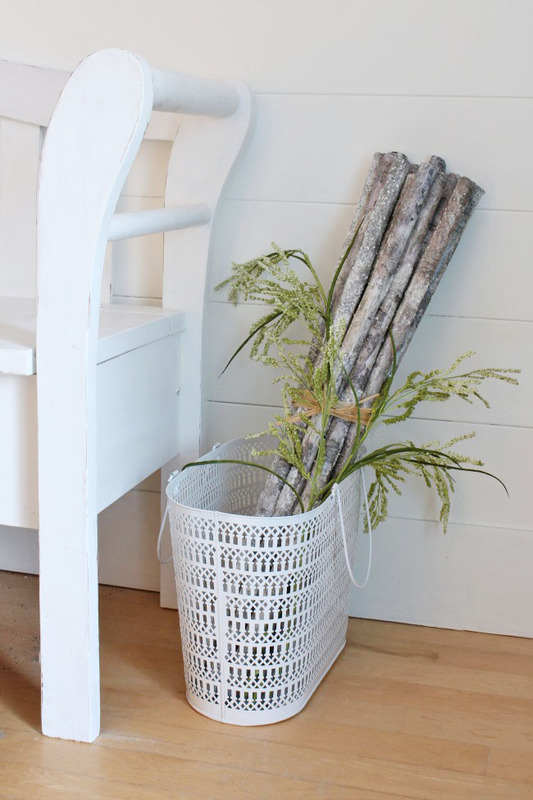 Most of our furniture in the entry is white so it’s easy to change things up for the different seasons. 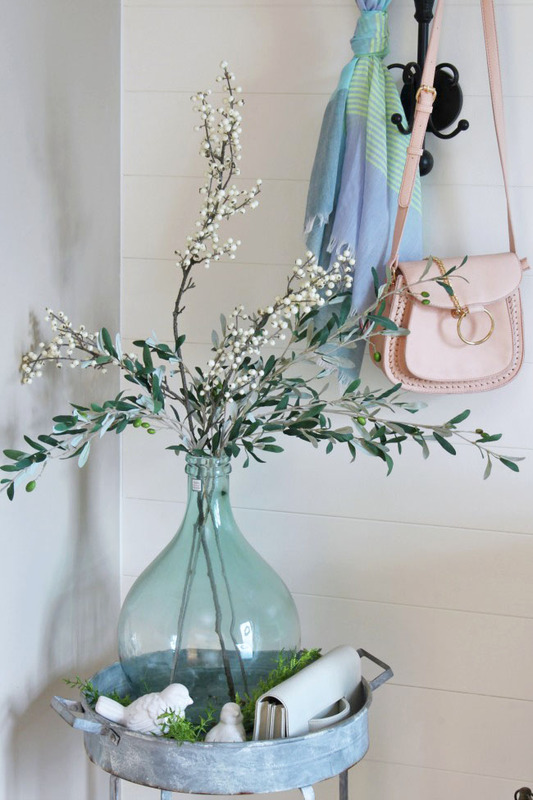 One of the easiest ways to switch things up for the summer is to put some of your favorite seasonal accessories on display. 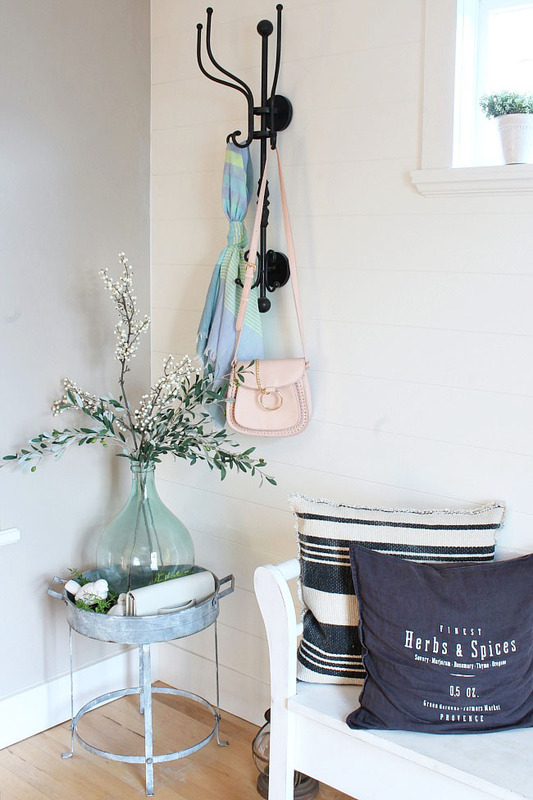 Not only does it add a nice pop of color to the space, but it also makes it easy to grab what you need on the go! The one new thing that I did get for the entry way this summer was a new rug. This is one of the Magnolia Home rugs that I picked up from Pier One. It has beautiful creams and faded blues but I could not seem to get a good photo in this light. It really is a lot prettier in person than it looks in the photos! The other side of the room has our shoe storage and drop zone for keys, sunglasses, wallets, etc. I also added an orchid and a little bud vase that I can add some summer clippings to. The “mailbox” opens up and I added some Command hooks in there for some extra storage. 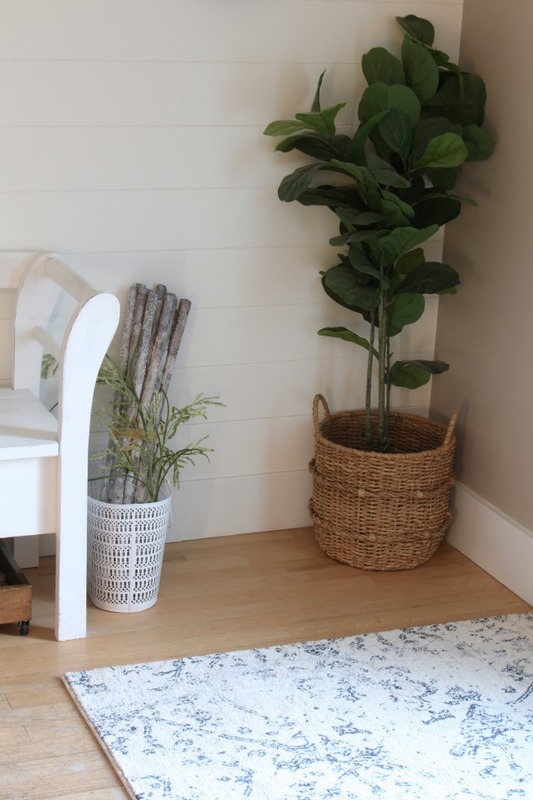 I hope you enjoyed my little tour and summer entry way decorating ideas. If you’re new around here feel free to follow along on any of my social media or pick up a copy of my new book, The Home Decluttering Diet! Ready for your next stop? 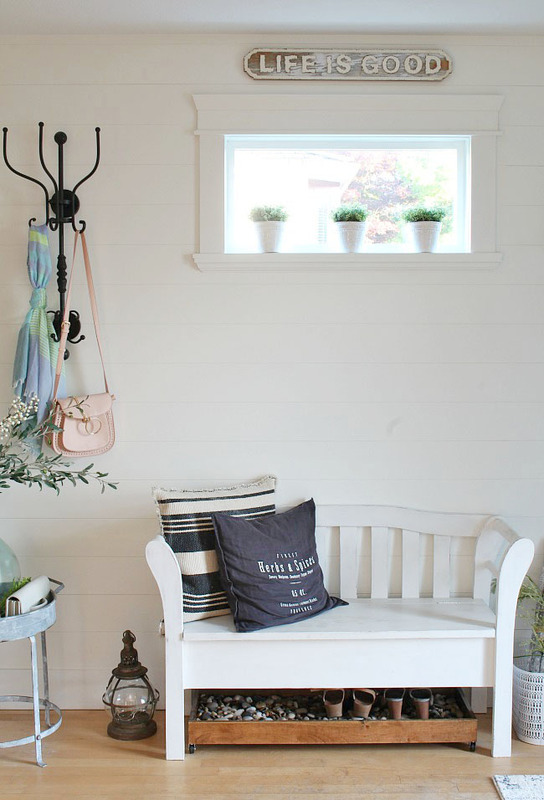 Head on over to Live Laugh Rowe for her pretty summer entry way. I always LOVE her style! You and I are kindred spirits in that we love summer! I adore your “mailbox” with hooks! What a great idea! 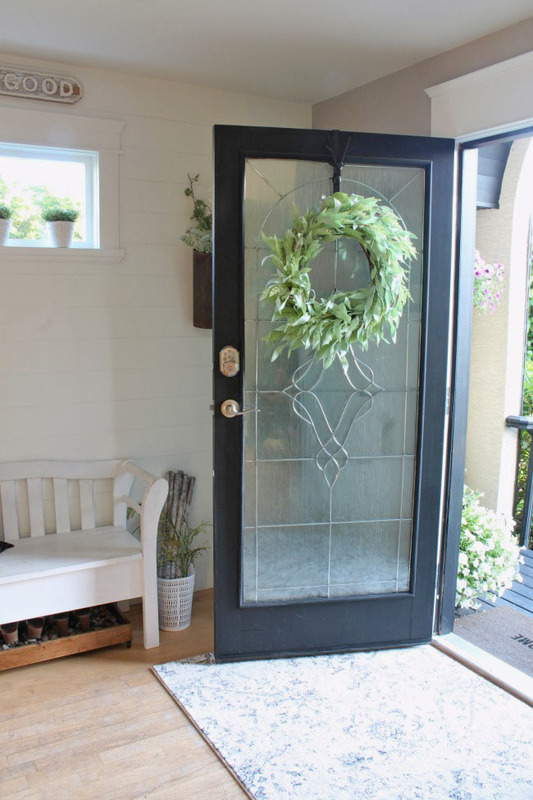 Your entry way is just lovely, Jenn! 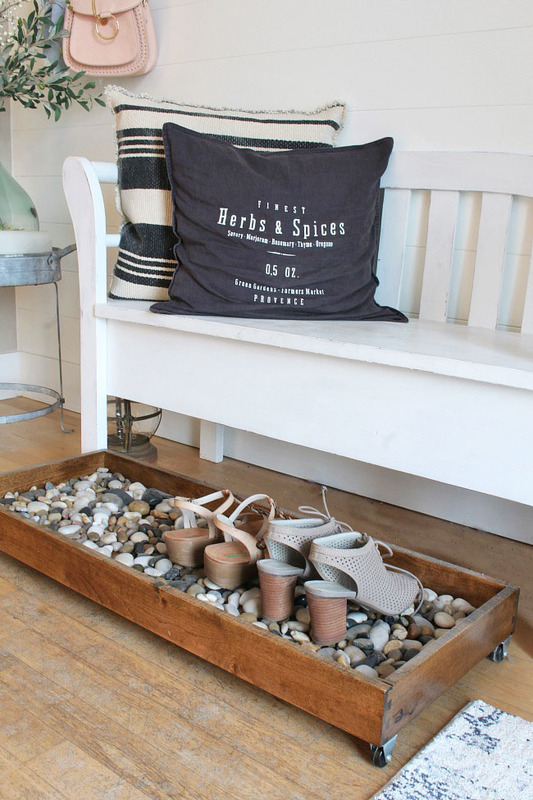 The wooden tray with the river rocks is just brilliant! Thanks so much Amanda! The tray works great! Beautiful, and the mailbox is so cool! I hear you one the long Winter and wet Spring. I’m always ready for SUMMER! 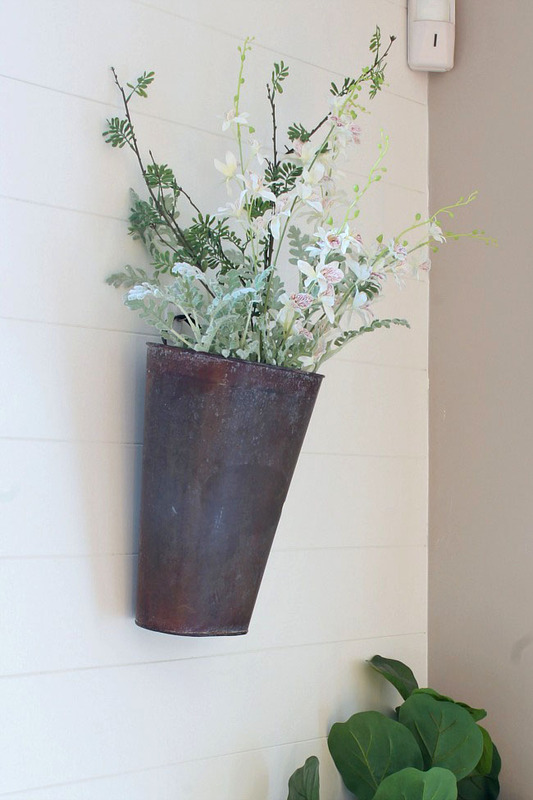 At first, I was in love with that wall hook… then, you shared that mailbox. That hidden storage is so fantastic. I love it!!!! Have a sweet Summertime. Enjoy! So lovely and welcoming, Jenn! 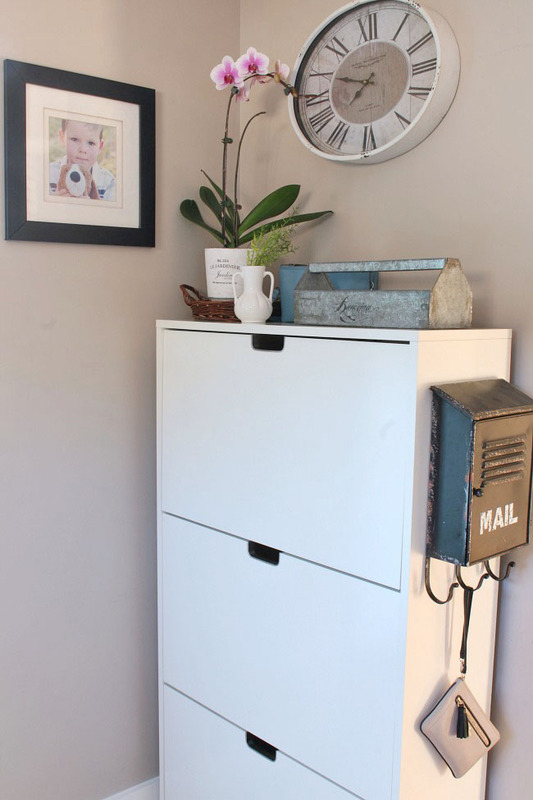 That rug is gorgeous- I can definitely tell:) The vintage mailbox is so cute!! I, too, and looking forward to what will hopefully be a long, sunny summer! What a sweet entry way! 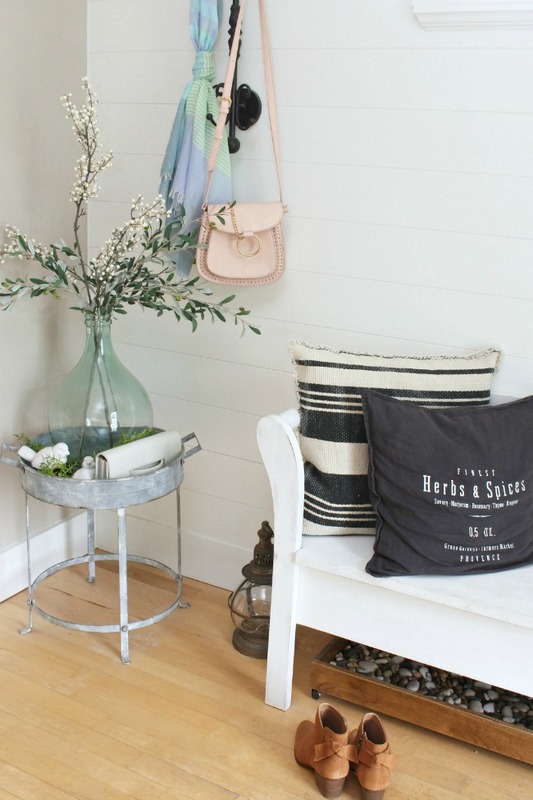 I have that Herbs and Spice pillow to 🙂 The shiplap and bench are so perfect. So sweet and fresh! Thanks for sharing on craft schooling Sunday, great to see you! The mailbox is really fun. The green vase is really neat. This is such a pretty space and it’s still functional. I love that. I also love your rolling boot tray! Super cute! Yes, that’s one of my favorites too. Just a lucky break that it totally fit under our bench! What an adorable entry! I love the shoe and key storage! Sharing on Fb! Thank you for sharing on Merry Monday! Hope to see ya next week! 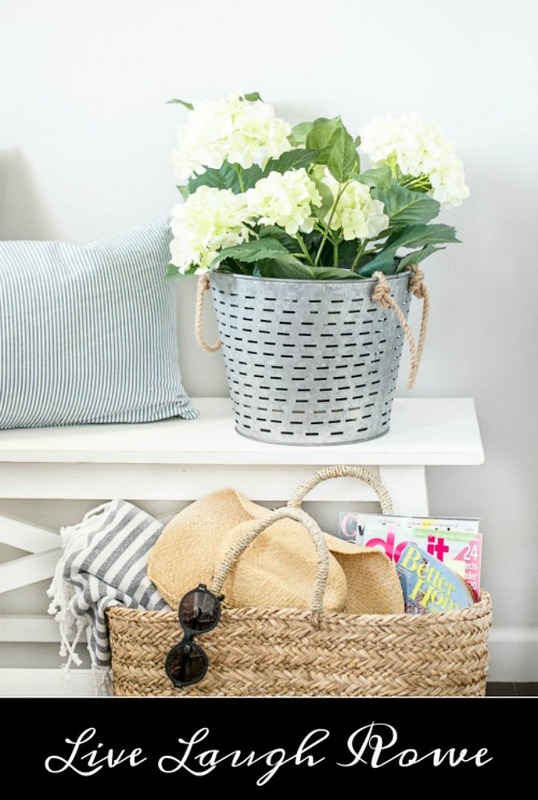 The soft colors, neutrals, and greenery all combine to make a welcoming statement in your summer entryway. Very attractive! 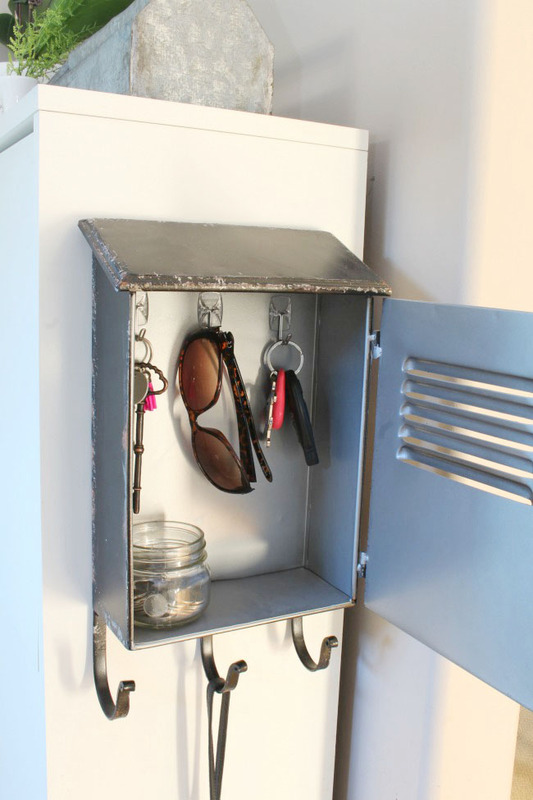 What a great entry and great ideas for storage of keys and sunglasses!! Thanks for sharing on #OHGWW this week, hop to see you again next week! i saw this featured at marty’s party, and had to come see that mailbox hack for myself. so smart!